The documentary Blackfish premieres tonight on CNN at 9 pm ET. This important film is by director Gabriella Cowperthwaite, a mom who used to take her own kids to SeaWorld. It continues the conversation and debate among parents about taking our children to see killer whales perform, considering all the current controversy surrounding this world-famous marine water park in the wake of the most recent tragic death of orca trainer Dawn Brancheau in 2010. I was interviewed by CNN family correspondent and mom Kelly Wallace for the CNN.com story published today, along with several other parents, about all the issues this stirs up. 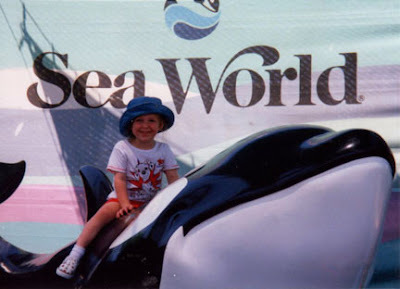 In addition to my comments, you'll also see family photos of my kids at Seaworld that are featured in this informative piece that every mom and dad should read. Check out today's CNN story. 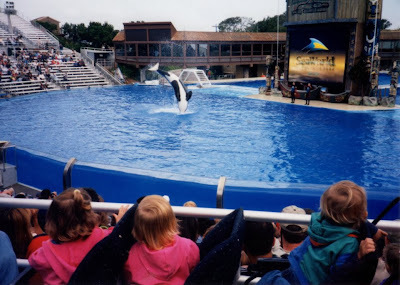 Please comment below on whether or not you think the whale show should go on and why. As a parent have you discussed these issues with your kids before? If you watch Blackfish as a family, how did your kids react? FTC Disclosure: I was interviewed by CNN.com for today's story on the SeaWorld performing whale controversy and I plan to watch Blackfish tonight. My family has been to SeaWorld more than 20 times as paying guests. I did not receive any compensation or payment for this post and opinions are my own. See complete FTC Disclosure information that appears at the bottom of MommyBlogExpert's main page and at the bottom of every individual post on this blog, including this one.